This small and discreet dual-concurrent router features Dual Band WLAN at 2.4GHz and Single Band WLAN at 5GHz frequency range. 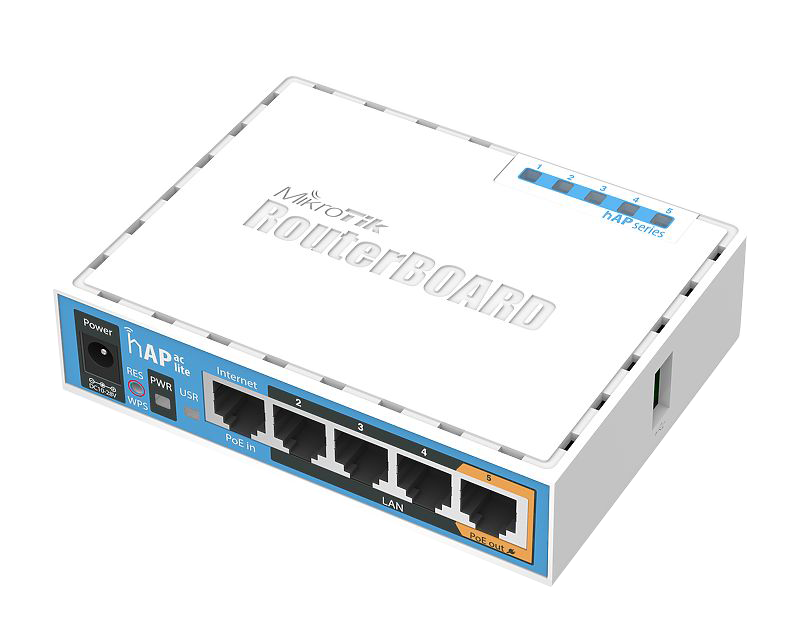 In addition, the Mikrotik hAP ac lite has five 10/100 Mbps Ethernet ports and features both Passive PoE and PoE passthrough. The hAP ac lite is a dual concurrent access point that simultaneously provides WiFi coverage for 2.4 GHz and 5 GHz frequencies. The device is very small and fits seamlessly into any environment, anchor holes for wall mounting are available. 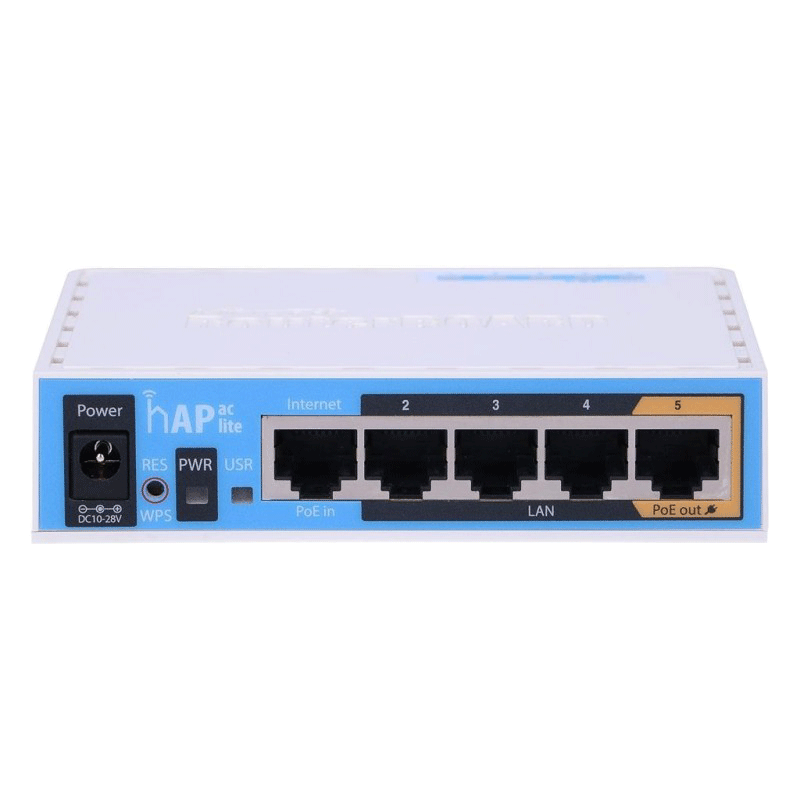 The hAP ac lite is preconfigured, you just need to connect the internet cable and the power supply and use the Internet by connecting to the MikroTik network. You can power the hAP ac lite both via the normal 10V - 28V DC socket and via Passive PoE. A 24V EU power adapter is included. To use the passive PoE function you need a PoE injector. The power supply is made via an Ethernet cable / network cable. This gives you the enormous advantage of requiring only one cable for the network connection and for the power supply, and more flexibility in terms of cable length. Furthermore, the hAP ac lite has PoE passthrough. This means that at Port 5, a PoE enabled device can be supplied with the same voltage applied to the hAP ac lite via the DC jack or via PoE. The maximum load of the port is 500 mA.